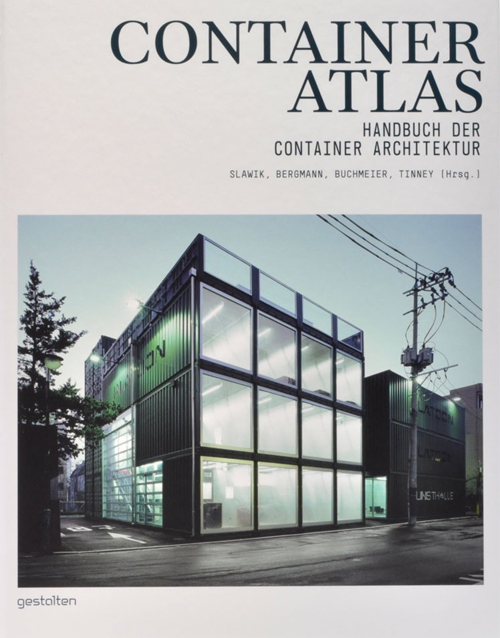 The book Container Atlas. 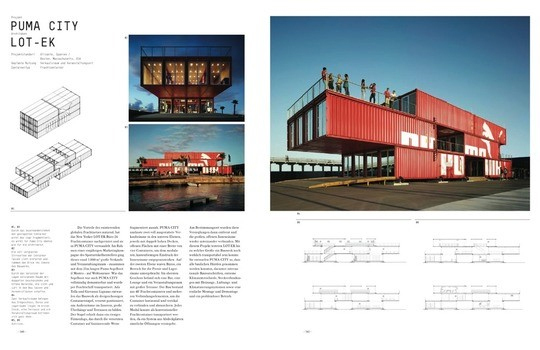 A Practical Guide to Container Architecture presents a wide range of projects in container architecture – a contemporary architectural phenomenon. 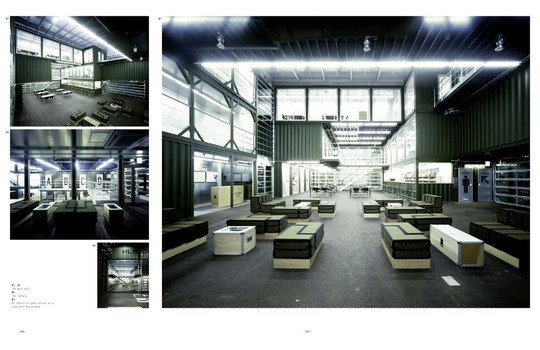 The book features container structures used as pop-up stores and temporary exhibits as well as sophisticated housing and office spaces that provoke and inspire while setting new standards in functionality and aesthetics. 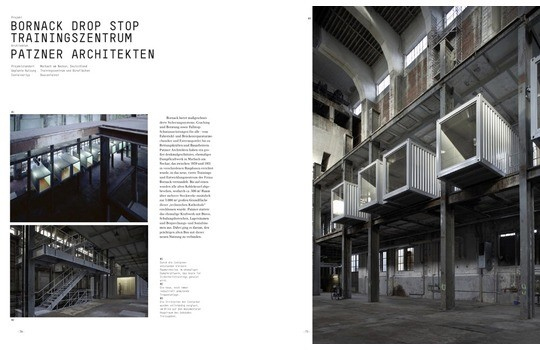 But the book is not only visually inspiring. Because it documents plans, describes associated costs, and suggests concrete solutions for common problems, it is a practical reference for architects, planners, and cultural activists as well as event and marketing managers, to guide them in deciding what types of containers are best suited to their upcoming projects.